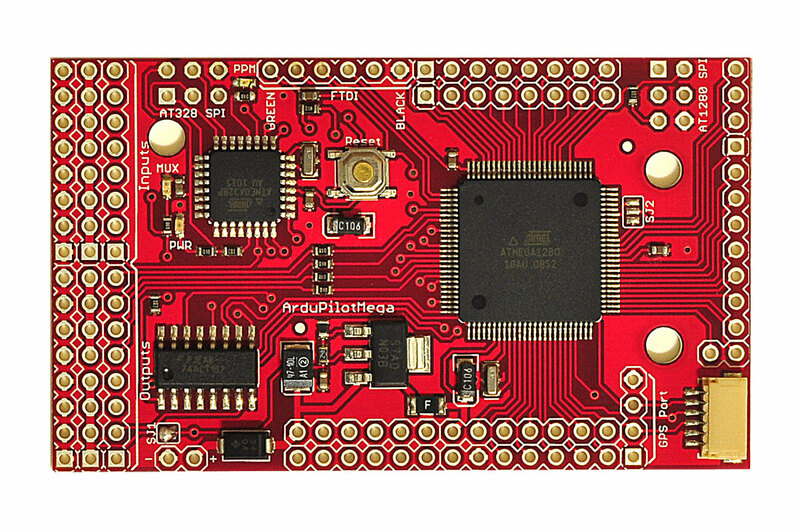 The ArduPilot Mega is the newest version of autopilot board designed by Chris Anderson and Jordi Muñoz of DIY Drones using the ATmega1280. 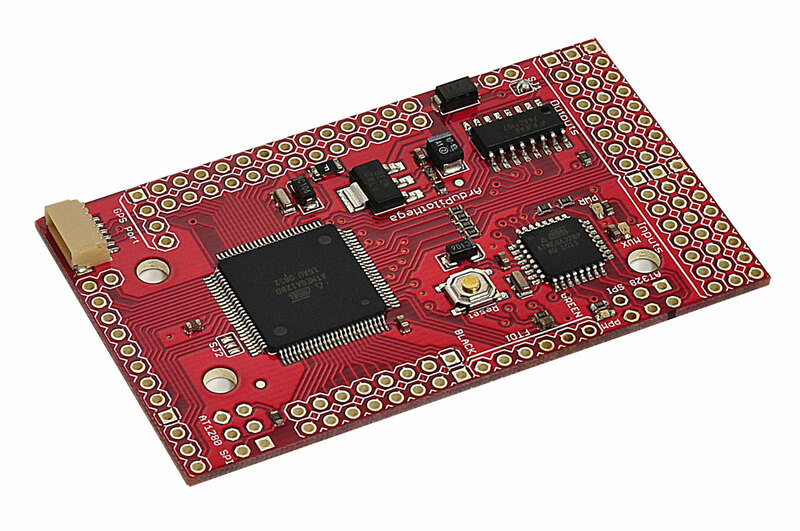 ArduPilot Mega is a fully programmable autopilot that requires a GPS module and sensors (IMU sensor shield coming soon) to create a functioning Unmanned Aerial Vehicle (UAV). The autopilot handles both stabilization and navigation, eliminating the need for a separate stabilization system. It also supports a "fly-by-wire" mode that can stabilize an aircraft when flying manually under RC control, making it easier and safer to fly. The hardware and software are all open source. 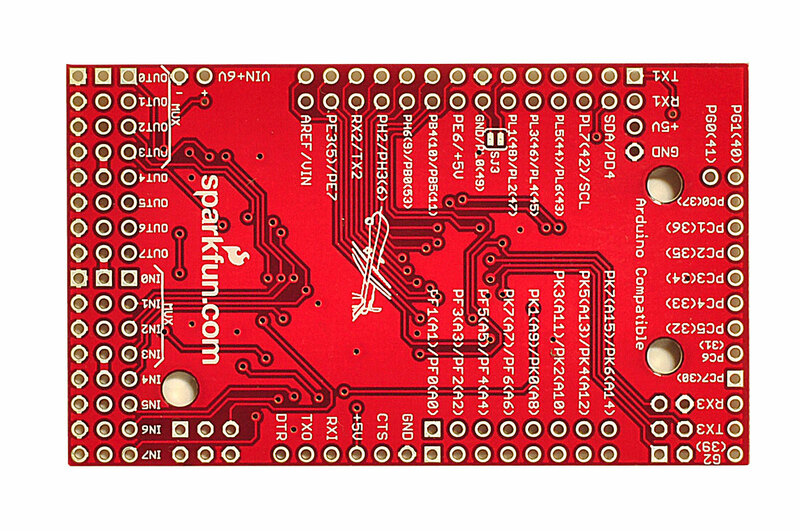 The board comes with all the surface-mount parts already soldered, but requires the user to solder on connectors. 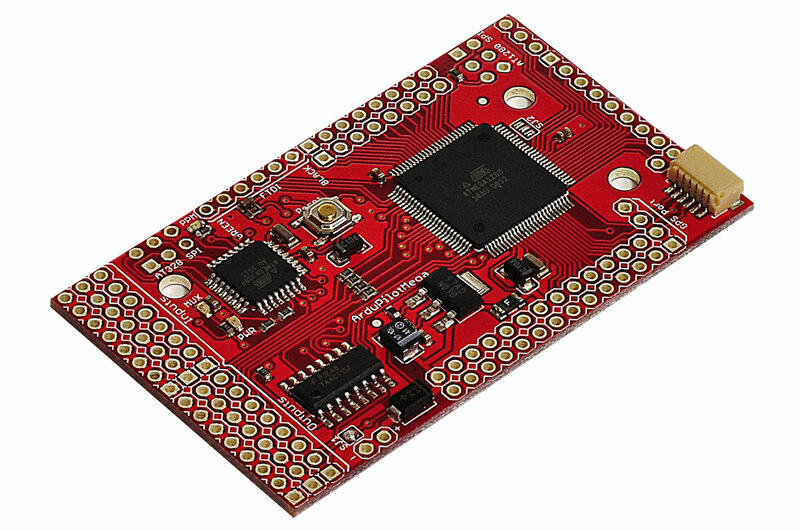 RC processing firmware is already loaded, but the autopilot software must be downloaded and loaded onto the board by the user. It can be programmed with the Arduino IDE. • Controller designed to be used with autonomous aircraft, car or boat. • Based on a 16MHz Atmega1280 processor. • Comes with a 6-pin GPS connector (EM406 style). • Eight RC channels (including the autopilot on/off channel) can be processed by the autopilot. • Full autopilot software, including IMU and groundstation/mission planning code, are available at DIY Drones. Code supports autonomous takeoff and landing.